We are proud to present, Seven Colours with Fish. This is the fourth cookbook in the range from the most trusted and loved canned fish brand in South Africa. 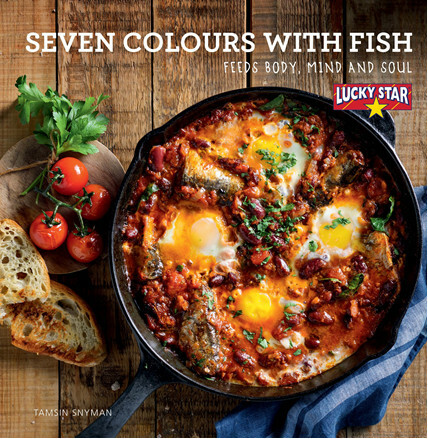 Super simple, super tasty recipes have been created by Tamsin Snyman using the full range of Lucky Star products, ensuring that you and your loved ones enjoy those special meal time moments, while celebrating the convenience and goodness that Lucky Star brings to the dinner table. Lucky star is a real Super Food which feeds Body, Mind & Soul. Specs: 210mm square. 64 pages. Full colour. Soft cover.